18th Century Silver Tea Urn, Thomas Graham, London 1792. 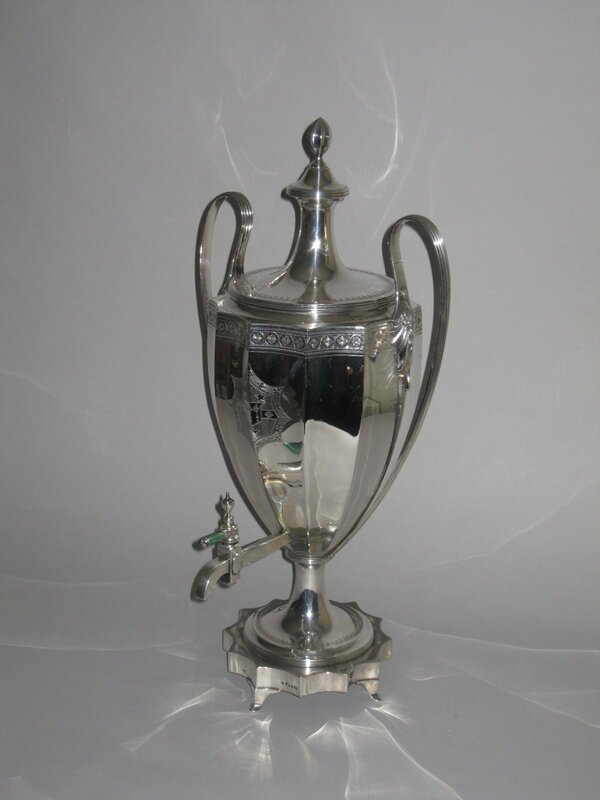 A FINE LATE 18TH CENTURY SILVER TEA URN. BY THOMAS GRAHAM, LONDON 1792. Having brightcut decoration and with engraved crest to the cover and armorial to the body.